“O,” it’s another one of these silly vegetable puzzles… Well, I’m sure you know what to do already. Raise those North Carolina sweet potatoes! The left column should have the same number of sweet potatoes as the middle row does. The right column should have the same number of sweet potatoes as the top row does. 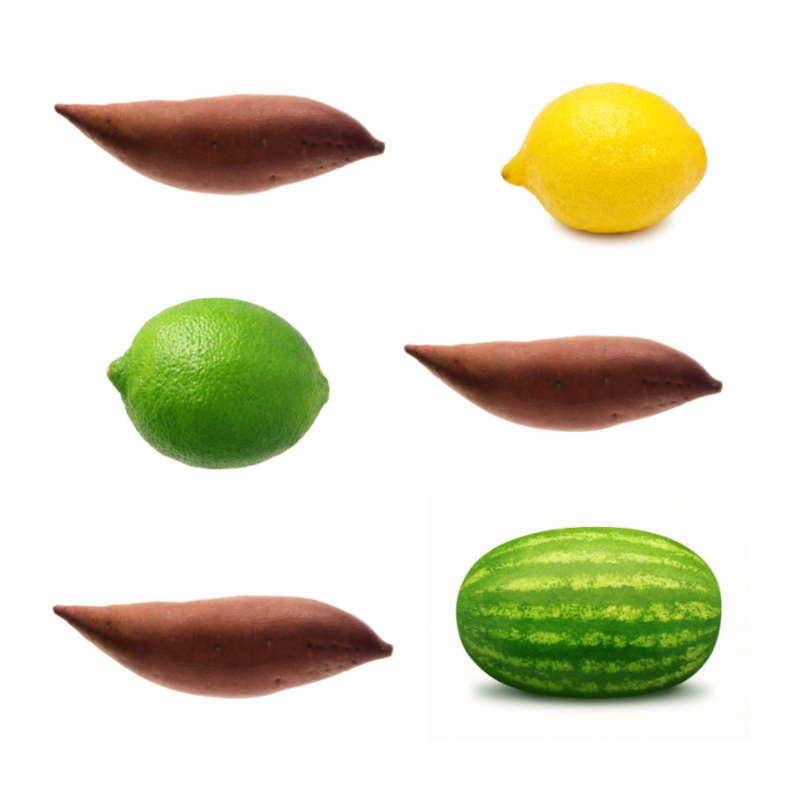 If the lime is next to the lemon, then the watermelon is directly below one of them. If the watermelon is in the bottom row, then all of the fruits in its column are already in the correct spots.